When you buy a NordicTrack rowing machine you're getting a competitively priced machine with more features and capabilities than you find anywhere else. That has become a hallmark of the brand, and is why all of their cardio equipment, including treadmills, ellipticals and exercise bikes, has become so popular. Their rowers are no exception. After featuring only one machine in the lineup for many years, the RW200, they have recently added a mid range RW500 and top of the line RW900 to the mix, catering to those that want a more advanced machine. The base model in series, the RW200 was recently redesigned to include the company's patented iFit Coach technology. This is an immersive program that gives you access to a vast library of personal trainer designed workouts, tracking and sharing capability and Google maps so you can row anywhere in the world that you choose. In addition to iFit, you have adjustable magnetic resistance up to 24 levels (the previous RW200 had air resistance), 20 built in workout programs, steel monorail, oversized seat and pedals, speaker system, Watts Power Display and a 250 lb. max weight capacity. The RW200 is sold under different names in other countries, so you may see it listed as the RX800 elsewhere, e.g. Canada, UK and Australia. But it is the same machine. The newer RW500 is a more advanced machine, also with iFit Coach technology. But here you get one free year of the service (a subscription is required afterwards) and there is a 10" Portal 10i tablet included so you can see the Google map destinations right on the rowing machine instead of on your tablet on the RW200 rower. You also get 26 resistance levels and 30 built in programs in addition to all of the features and capabilities that the RW200 offers. The latest addition to the lineup, the new RW900 is very similar to the RW500, except instead of the 10" tablet you get a huge 22" Smart HD touch screen display, just like the one on the company's higher end treadmills and ellipticals. Otherwise, the RW500 and RW900 are essentially the same rowing machine. How Do NordicTrack Rowing Machines Compare to the Competition? According to our reviews NordicTrack rowers stack up quite well against the competition, especially the lower to mid range brands. The RW200, RW500 and RW900 give you features that you just don't find on other machines, even the more expensive ones. One thing that definitely separates the NordicTrack rowing machines from the others is iFit Coach. You will find elements of the program elsewhere, but no other system gives you endless workout choices, Google maps of any location and tracking/sharing capability, along with nutrition recommendations and in-studio on demand classes. You can't find iFit on any other rowing machine, even sister company ProForm's 440R rower, which is made by the same manufacturer ICON Fitness. Other separators include the number of built in workouts, outside of those available in iFit. The base RW200 has 20, the up-level RW500 and RW900 have 30. 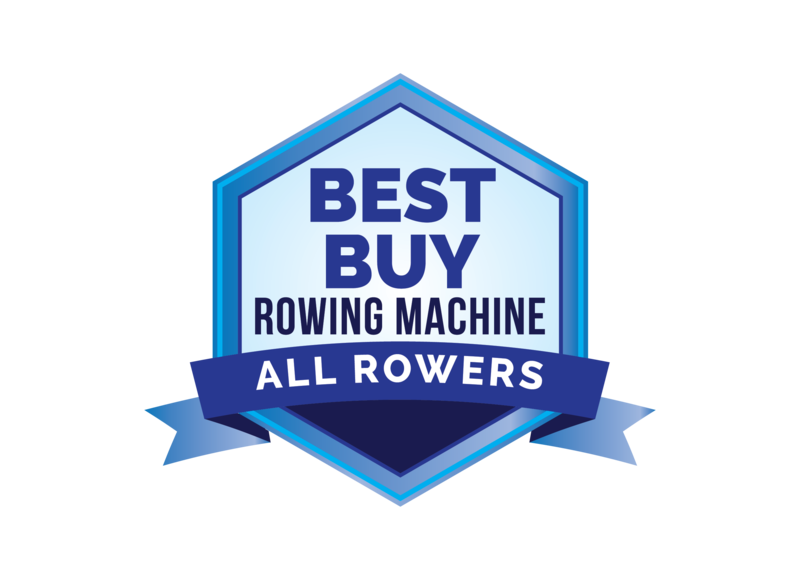 Other rowing machines in this price range typically have 10 workouts or fewer. 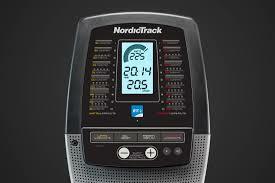 You also get very competitive warranties on the NordicTrack rowing machines, especially on the RW900 – 15 years on the frame, 5 years on parts and 2 year on labor. That's a lot better coverage than you get on most rowers these days. How do they compare to the higher end brands? The RW200 at $599 doesn't really compete with the commercial brands, but the RW500 at around $999 and RW900 at $1599 definitely do. That's the only comparison where NordicTrack falls a bit short. The RW900 definitely has more bells and whistles than everyone else, but as far as durability and advanced computing, it doesn't quite compare to brands like Concept 2 and WaterRower, even though it is similarly priced. For example, the Concept 2 Model D has a max weight capacity of 500 lbs., which is double the max user weight on the RW500 and RW900. So you really have to decide if you want a lot of extras and entertainment, or commercial quality and precise workout stats, at least as far as the RW500 and RW900 are concerned. The RW200 is much more in line with similar quality rowing machines price wise. 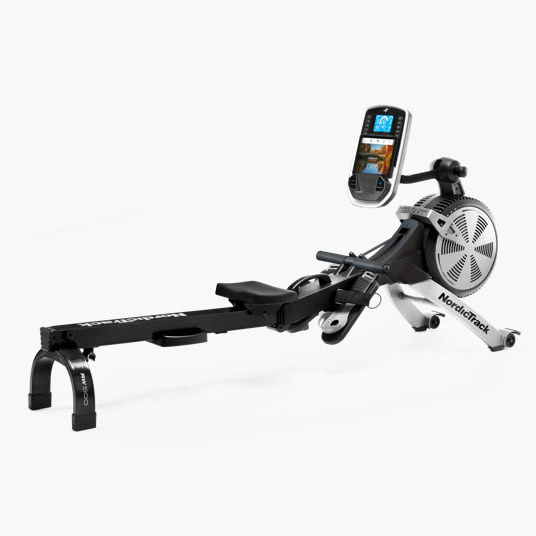 We like the NordicTrack rowing machines, and user reviews have been quite positive. The iFit Coach technology takes your workouts to a whole new level, with plenty of features to keep you motivated and entertained. You get a lot of built in programs, comfortable seat, adjustable foot straps and console, music compatibility with speaker system, plenty of resistance levels and strong warranties on all machines. Casual rowers will appreciate all of the extras on the RW500 and RW900, but more serious rowers will be better served with a Concept 2 rower, which is less expensive and much more commercial-grade. Still, with everything they have to offer, NordicTrack rowers remain extremely popular, with plenty of satisfed customers. 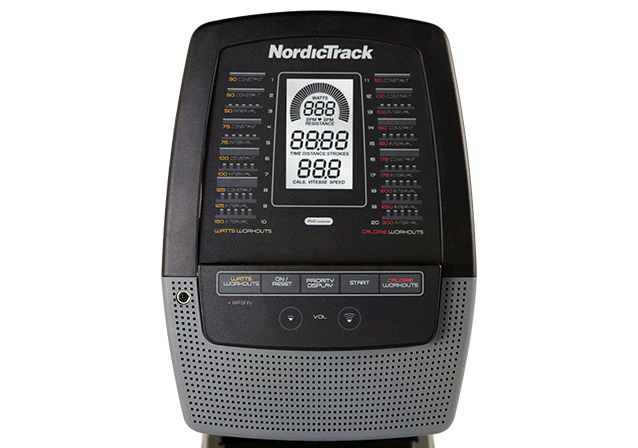 Get the popular NordicTrack rowing machines on sale right now!